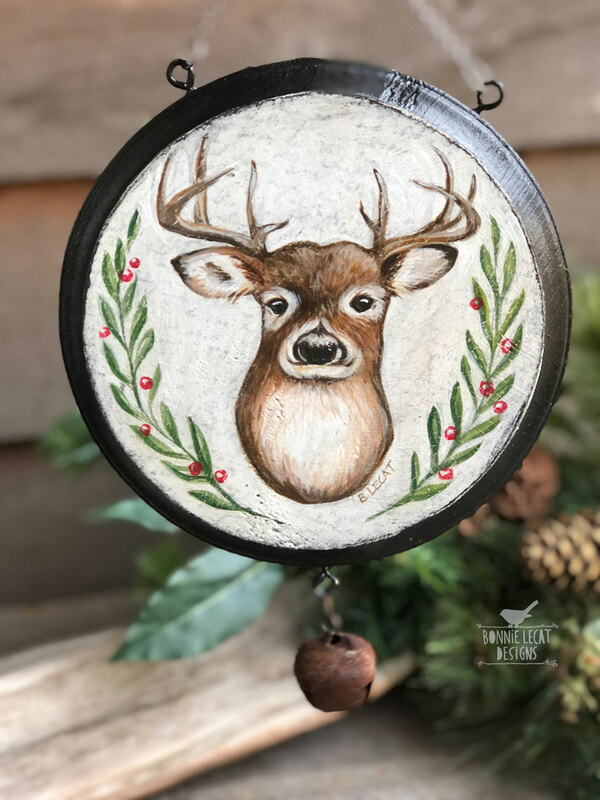 This charming handmade deer Christmas ornament looks great hanging on your wall or tree and makes a great gift for family and friends. White, brown, green and red color scheme. 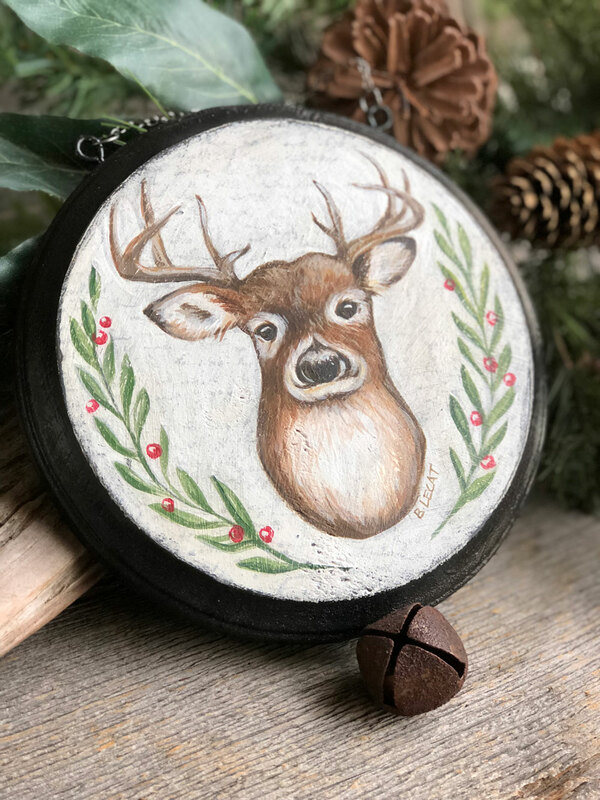 Available in two convenient sizes; large 7″ round size to hang on your wall and small 4″ round to hang on your tree. PRINTING: Printed on high quality textured fine art paper, mounted and assembled by hand on a solid wood panel. MATERIALS: wood, fine art paper print, acrylic paint, metal chain and jingle bell. 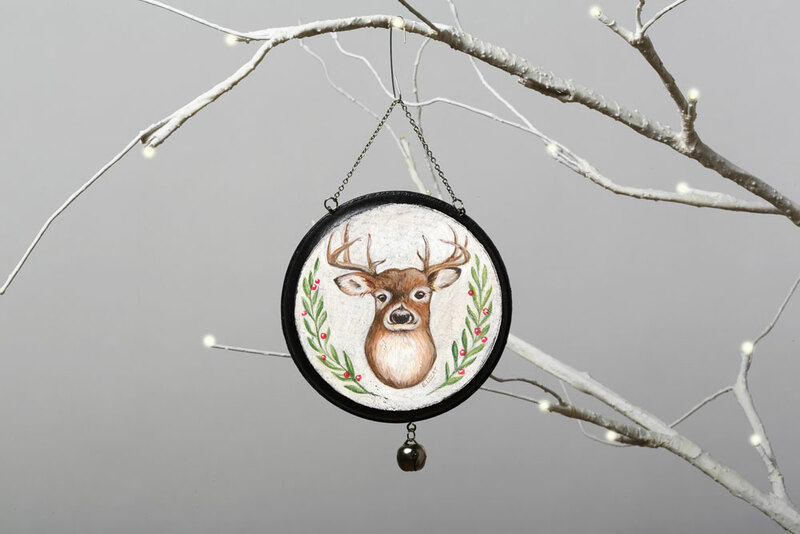 Image features a deer framed in a laurel wreath. Your Christmas deer art will arrive carefully packaged in a sturdy cardboard container to protect it from damage during shipping. Both sizes come wrapped in cellophane tied with a jute string, suitable for gift giving. We absolutely love the framed deer. Bonnie’s detailed work is amazing. The beauty of this painting, so life like, a must have if have a love for this graceful wild animal. 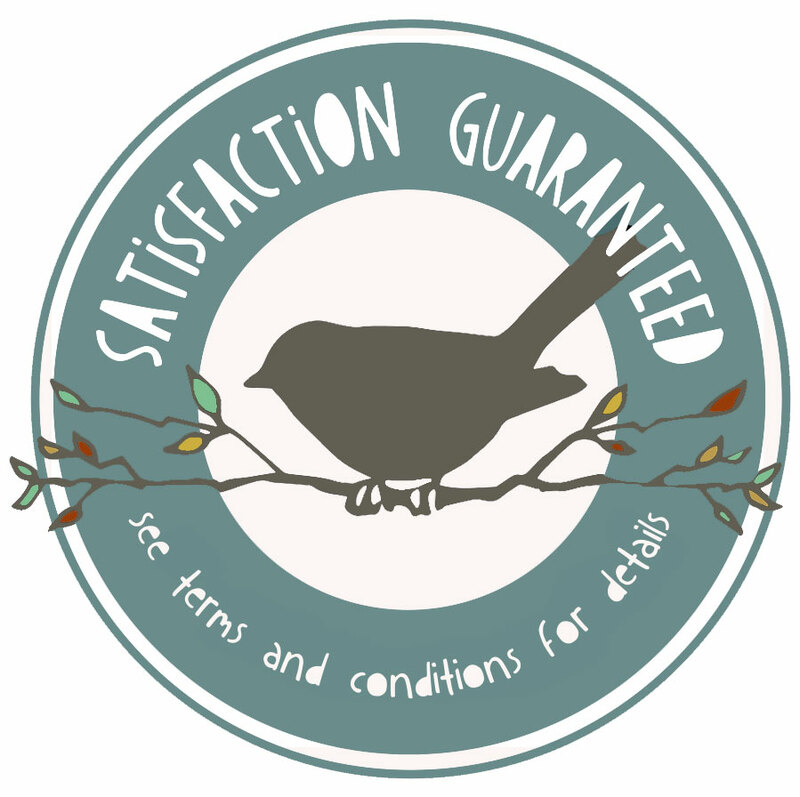 You won’t be sorry!